Situated on the Grand Canyon’s southern rim, Grand Canyon Village is Arizona’s major tourist destination. 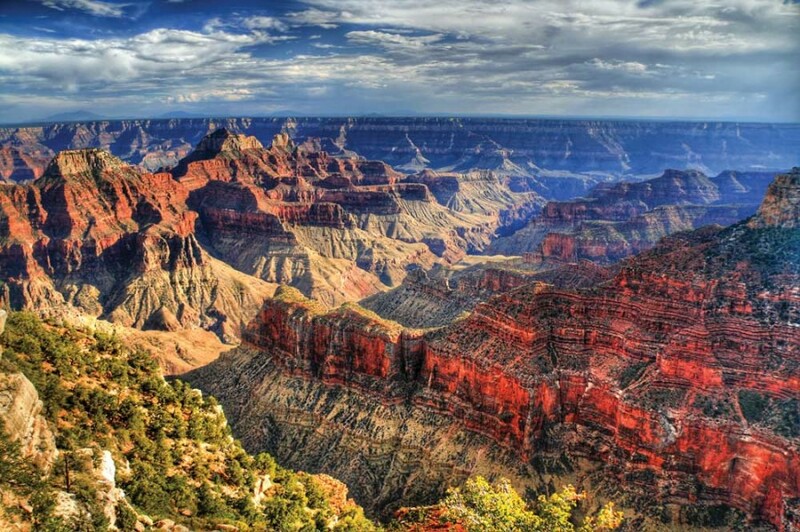 From here, some five million visitors annually take in the magnificent natural landscapes of the Grand Canyon National Park that have been carved out over millions of years. 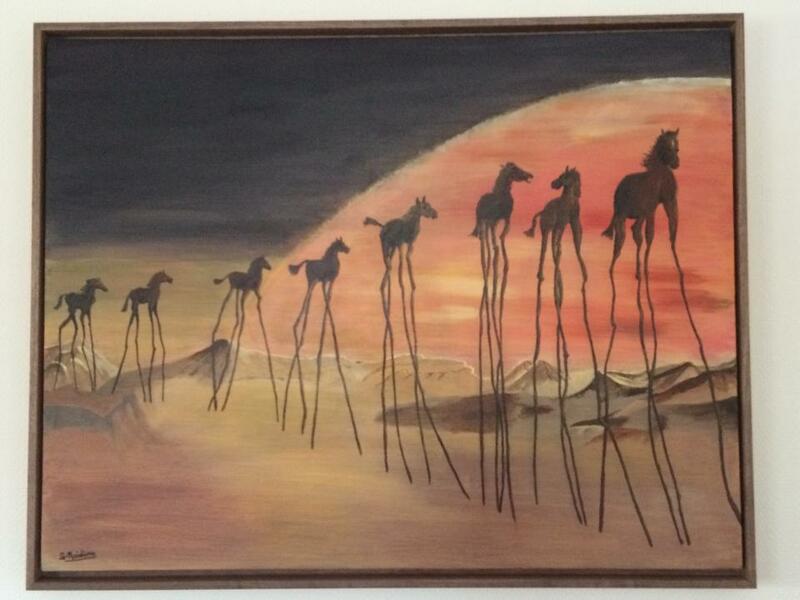 But planning a trip to Grand Canyon Village is not something to take lightly. After all, this part of the world retains vast areas untouched by human hand. 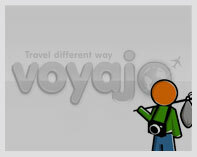 Visitors looking to fly to the Grand Canyon should book tickets to either Las Vegas or Phoenix. A drive from Las Vegas to Grand Canyon Village generally takes between four and five hours using US93 and I-40, while Phoenix is approximately four hours away along I-17 and AZ-64. 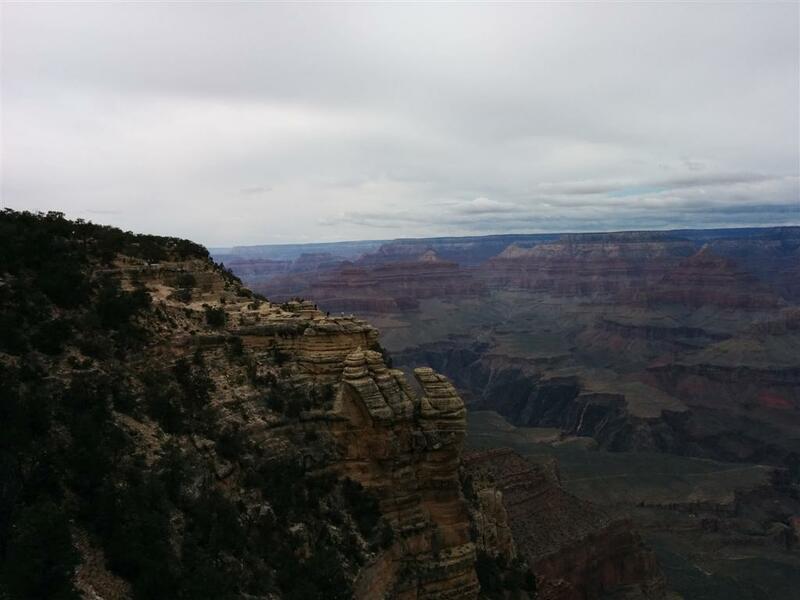 A limited connecting flight is available between Phoenix Sky Harbor International Airport and Flagstaff Pulliam Airport, but passengers can still expect a 90 minute drive to Grand Canyon Village from Flagstaff. 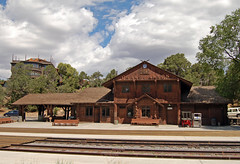 Alternatively, the Grand Canyon Railway – which uses an old-fashioned steam train – offers a scenic and care-free connection between Flagstaff and Williams, Arizona. Grand Canyon Village itself is home to a number of accommodation options, including hotels, lodges and camp sites. All are booked up quickly so making a reservation well in advance is an absolute must. A small number of these hotels and lodges offer dining rooms or restaurants, while the village itself is limited to a coffee bar (in the visitor center) and a delicatessen (at the general store). The village of Tusayan – located seven miles outside of the national park – features a number of dining options, as well as a service station for those looking to refuel. 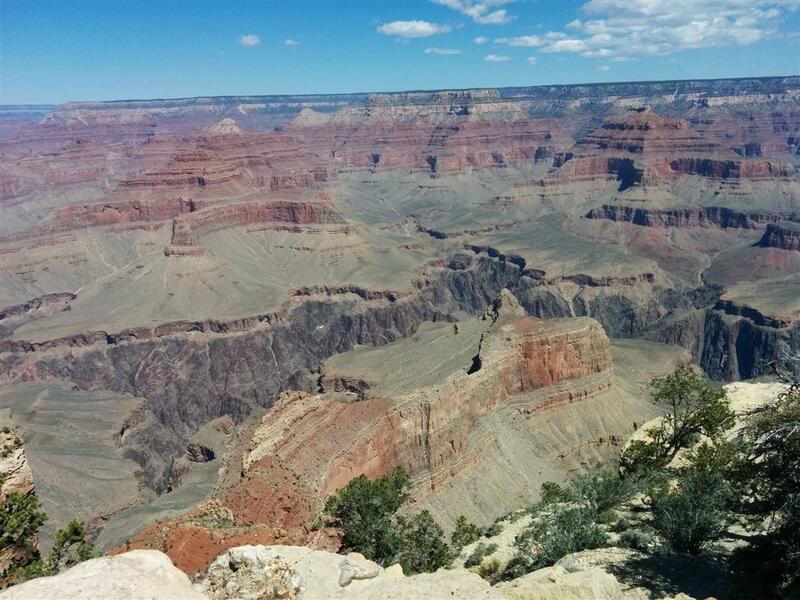 From Grand Canyon Village, visitors can tour the world-famous canyon by car, plane, bicycle, or on foot. 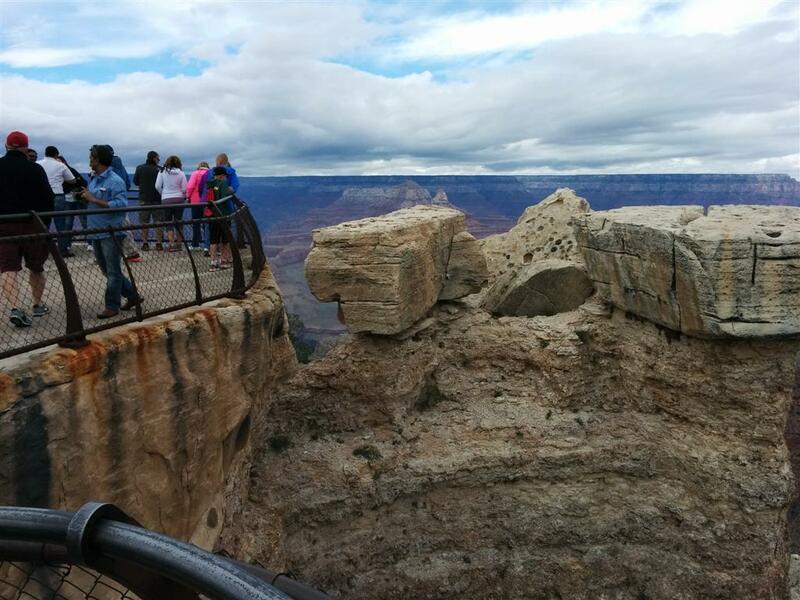 Vantage points are staggered along the south rim, each offering views more stunning than the last. 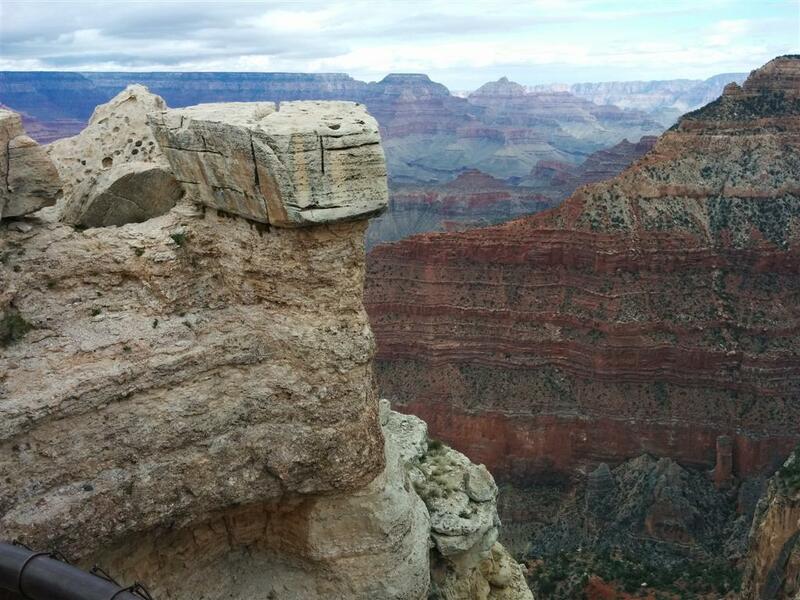 As well as gentle, short walking trails, it is also possible to hike from the canyon’s south rim to the north rim. Be warned though; a one-way journey is 21 miles long and will require overnight camping. Inexperienced hikers making a Grand Canyon Village trip plan should probably stay closer to home. Canyon. We stay for 2 nights in Kanab, a historic western movie town. Hiking the Grand Canyon is a must, even if you hike part way down and back. Absolutely gorgeous. 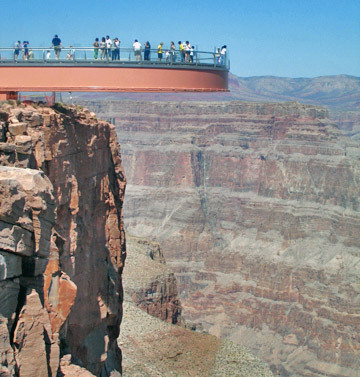 There is a "Skywalk" which wasn't there when we visited but I understand it is REALLY expensive. Like a platform that extends out over the canyon. Also you can take the train (about 2 hours, I think) into the canyon spend some time and then back out later in the day. Don't know much about this but my neighbor is going to do this at the end of the month so I can let you know how it goes. Actually 320 miles, 6 1/2 hours to north rim arizona.